A software designer and network engineer sometimes referred to as the "Mother of the Internet", but prefers not to use that moniker. She is most famous for her invention of the spanning-tree protocol, while working for Digital Equipment Corporation, which is fundamental to the operation of network bridges. She also made large contributions to many other areas of network design and standardization such as link-state protocols, including TRILL, which she invented to correct some of the short-comings of spanning-trees. She was born in Portsmouth, Virginia, USA) and obtained a Bachelor's, Master's in Mathematics, and a Ph.D. in Computer Science from MIT. Her doctoral thesis at MIT addressed the issue of routing in the presence of malicious network failures. As an undergraduate at MIT she undertook a UROP (Undergraduate Research Opportunity), in lieu of course units, within the LOGO Lab at the (then) MIT Artificial Intelligence Laboratory. Working under the supervision of Seymour Papert, she developed a "tiny" version of the educational robotics language LOGO, called TORTIS. During research performed in 1974-76, young childrenâ€”the youngest aged 3Â½ years, programmed a LOGO educational robot called a Turtle. 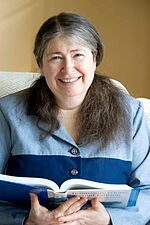 She has been described as a pioneer of teaching young children computer programming. She is currently employed by Intel and holds more than fifty patents from Sun alone. She is the author of one textbook on networking, "Interconnections: Bridges, Routers, Switches, and Internetworking Protocols" (2 ed.). Addison-Wesley Professional Computing Series. ISBNÂ 978-0201634488;.and coauthor with Charlie Kaufman and Mike Speciner,. "Network Security: Private Communication in a Public World" (2 ed.). ISBNÂ 978-0130614667. She received an Honorary Doctorate, Royal Institute of Technology - (June 28, 2000). She has received several awards including, the SVIPLA (Silicon Valley Inventor of the year April 28, 2004; the USENIX Lifetime Achievement Award in 2006; and the SIGCOMM Award in 2010. She is also the recipient of the first Anita Borg Institute Women of Vision Award for Innovation in 2005. She was named one of the 20 most influential people in the industry in the 20th anniversary issue of Data Communications magazine (January 15, 1992) and again in the 25th anniversary issue (January 15, 1997); the only person to be named in both issues.